What a great tournament it has been so far (except for a certain jackass who has an issue with biting people). We’re now at the knockout stage. Brazil, Argentina, and Germany are the favorites to win it all but you never know. Look what happened to Spain. 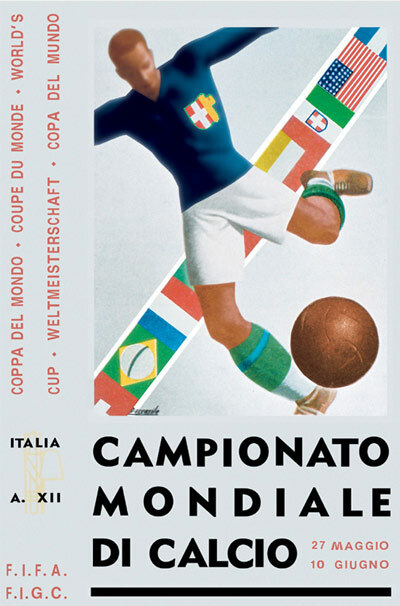 I was checking out old FIFA World Cup posters and below are five of my favorites. I’m curious to see what will happen with Qatar and the scandal. 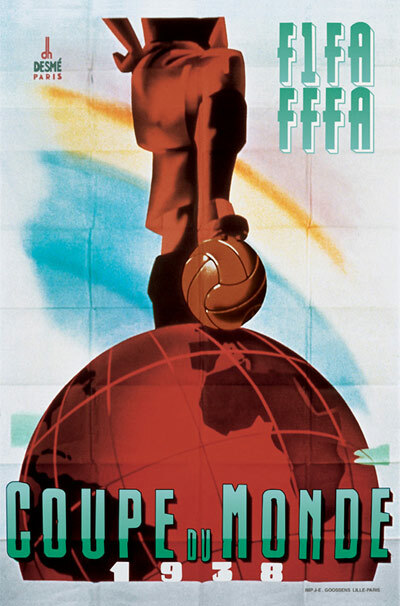 It’s great that FIFA wants to have the World Cup in different regions of the world, but Qatar in the summer? Sponsors are not happy about the bribery scandal. This is a huge mess any way you slice it. Moving the tournament to the winter will create even more problems, especially with broadcasters. It’s a shame. I hope FIFA can get it together. There are going to be some serious nail-biting (no pun) games during the next two weeks. Cannot wait. Oooh, thanks for posting these. 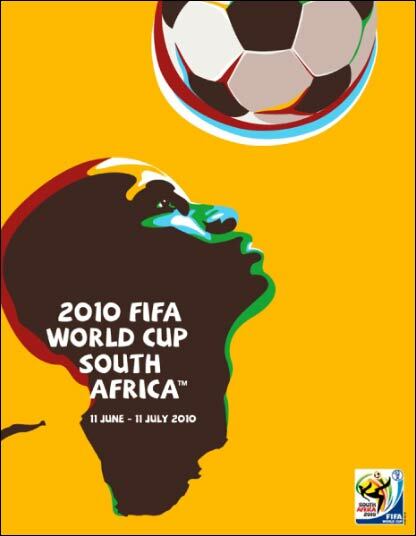 I need that South Africa poster.